It’s not the first time I’ve wondered, but the fact that I’ve been writing the script for North East Rising recently meant that I thought about it more than I ever have before. Well? Is there a difference between acting and lying? The general consensus, according to a few people I’ve spoken to about it and Google, seems to be that it’s a matter of consent. There are huge similarities in the way that someone will lie to try and persuade someone that something happened when it didn’t and the way an actor will try to make someone truly believe in an event or emotion they’re telling you. The difference is, when someone pays to go and see a film or a play, they willingly buy into that lie for the sake of entertainment. A lie in real life can potentially remain hidden forever and is never consented to beforehand. Although, to start with, I can already spot a few holes in that theory. First, are there not times in performances when we still believe things that have been said for a long time after the performance has finished? There’s been millions of times I’ve tried to quote a fact or truism, only to find out that it came from a film and may potentially be made up. I would argue that if a character is going to be likeable, they have to say things that are true on some level; if they’re living in a world that’s based on ours, then they have to observe things that seem true despite the fact that they aren’t a real person. On the flip side, sometimes we do give people permission to lie to us in real life as well, don’t we? What about when we do it to make them laugh? Is being sarcastic not just a lie we all consent to? But as well as these two exceptions, writing the script gave me a completely new perspective on the question entirely. Because when the character you’re playing is yourself, when you’re performing something autobiographical, sometimes you have to lie and the audience may never find out. A great example is stand-up comedians. Often stand-ups base their material on things that have happened to them, “I was walking down the road the other day, right, when I saw this…”. We all know comedians embellish things or plain invent them for the sake of making a joke. I would argue that the minute they do that, they’re acting. In fact, even if they’re telling the truth but it’s scripted then they’re acting. Performing on a stage requires a whole level of communication and body language that isn’t really natural to begin with; you don’t just stand up in a room and start staring at everyone right in the eyes, talking really loudly, without much concern for what the people you’re talking to think or feel, do you? No, that would just be psychopathic. Sometimes it’s obvious that the event being described by a stand-up probably didn’t happen quite like that, if at all. Sometime comedians even reveal the fact they’re lying during the show for comic effect, Stewart Lee and Sean Lock are good examples. But other times it’s harder to tell. Was it true? And, if not, does it matter? Would it make it any less funny if it wasn’t? As well as this, even with the best will in the world, sometimes when you’re playing yourself you have to lie for the sake of structure. Life doesn’t fit into a strict hour or two of material. Sometimes things happen in between in real life, things that would slow down the story and so need to be left out for the sake of moving things along quicker. In real life, this is called a white lie. “I was walking down the street the other day, right, when this man walked past and said I was a filthy jizzbag”, sounds slightly more funny than “I was walking down the street the other day smoking a cigarette when this man walked past, pointed to it and said I was a filthy jizzbag for smoking those things”. Obviously it depends where you’re going with the story but, the point is, sometimes things are better left unsaid. In both instances, the man we’re talking about still said something unexpected and strange, do we really need to know what his motivation was? Sometimes for the sake of narrative we have to lie otherwise people would just lose interest in what we’re telling them. It reminds me of a fact I read about the famous Beat novel On The Road, an autobiographical story about author Jack Kerouac’s journeys from New York to California. The original story was longer, with many trips backwards and forwards. It was more true, in that respect, because it happened exactly like that. But the publishers were worried: it was too sporadic, all this backwards and forwards, East and West, people we’re going to get a bit confused, maybe even a bit bored. So in the end, events got spliced into one trip instead of two; it became one journey not lots of them. Sometimes the truth is too true for art. Now I know we’re not talking about acting here, it’s a novel, but it serves to prove a point about autobiography. 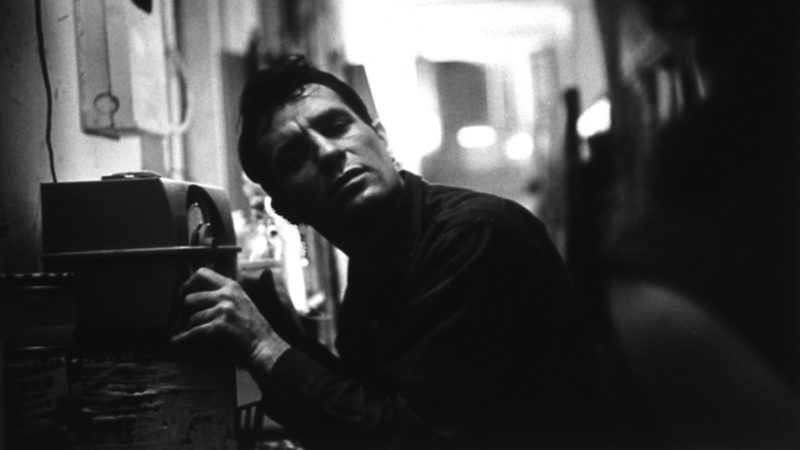 Unless you know that about On The Road and go back to the original manuscript, most people will never know which bits really happened like Kerouac says they did. Just like a lie in real life, we might never find out. And I found something similar involved with writing the script for North East Rising. In between the poems, I wanted to stick to events that had really happened to me as closely as I could. But, for the sake of making it flow, events got twisted, embellished, things happen in a different order to the way they really did. Sometimes they just completely didn’t happen, I needed to lie so I could steer the narrative back to another real event. Does that make it lying or acting? You could pick the most mundane thing out of my script and assume that it’s truth when, in fact, I lied. Like some lies in real life, you’d never know. And now I’ve came out and admitted it, that it’s not all ‘true’, I suppose that means it’s acting after all, right? But if you come and watch my show and you believe even one thing that isn’t true when you walk away, then acting can be exactly the same as lying.